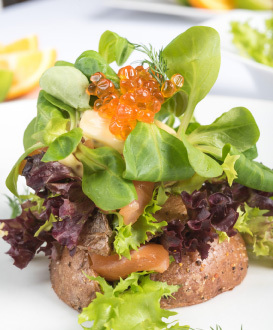 Restaurant «Montenegro» is located on the Gulf of Finland coast in the residential complex «Sea Cascade». The restaurant interior is designed by the owner Alexey Sergeev: soft sofas, long curtains, hand painted roses on the oaken doors, neat chairs. 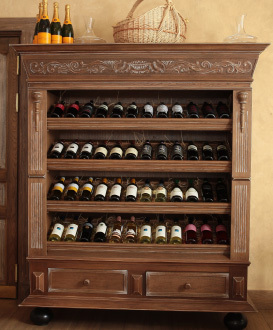 Vintage sideboards are full of wine bottles. Snowy white tablecloth and well taught staff. This kind of romantic misses the big loud busy city. Whenever the weather is stormy and rainy, whenever the weather is grey and unfriendly, «Montenegro» meets you sunny, hospitable and warm. Wide windows open the panorama of Gulf of Finland and embankment of Smolemnka river. 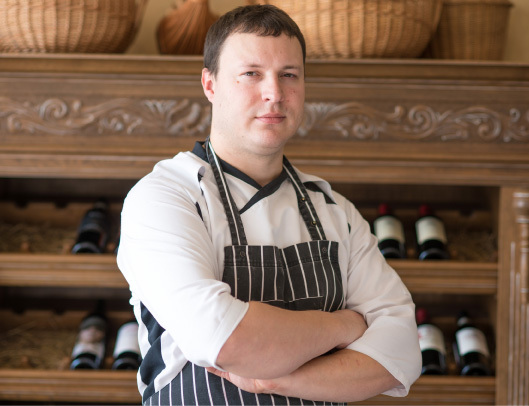 Mediterranean food on the plates has light notes of Baltic accent, cause the kitchen is lead by Robertas Lukianskis (Lithuania). In menu card you can find greec moussaks with lamb, duck leg confi with shukrut, venison with cranberry sauce, risotto with chicken and lasagna with meat. Montenegrin name of restaurant isn't just a word, Montenegrin cuisine is presented in menu of «Montenegro» by salad of fresh vegetables with young cheese, fishing čorba and Montenegrin pleskavica. Of cause, Mediterranean cuisine cannot exist without a good wine. In th wine card of «Montenegro» restaurant you can find not only traditional Montenegrin wines, but also classic of winery from France, Spain and Italy. Besides that you can taste cider, grappa, raki, amaro and limoncello. Every weekend evening our guests can enjoy the life music. On weekdays from 11.30 we serve breakfast: eggs, omlette, porridge.From Monday to Friday from 12:00 until 16:00 you get 20% discount for dish from menu except drinks. What could make children happy? Of course, sweets! Desserts menu includes carrot cake, pannakotta and cream puffs with almond flavor. If our little, but very important guest is hungry, we offer the children menu. В конце июля ресторану «Монтенегро» исполнилось восемь лет! Все эти годы мы, дружная команда ресторана, были счастливы радовать вас камерным уютом, изящным интерьером и качественной средиземноморской кухней. Мы ждём вас всегда на улице Кораблестроителей, 30! 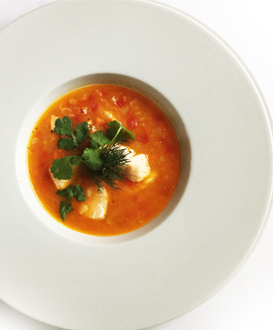 Dear guests of restaurant «Montenegro»! There is a discount system based on discount club cards in our restaurant. Your discount starts with 5%. 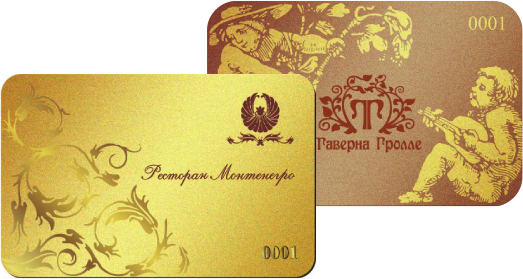 You get the 10% discount provided that expended in the restaurant sum reaches 10 000 RUB. With expended sum 80 000 RUB you get 15%, with 150 000 RUB - 20%. From 12:00 until 16:00 there is 20% discount for meal except drinks. 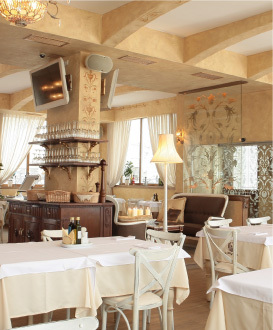 Club cart of restaurant «Montenegro» affords the discount in restaurant «Taverna Grolle» Vaslievskiy island, Bolshoy prospect 20.